Our Purifying Detoxifying Face Cleanser is designed for combination, oily and acne prone skin. 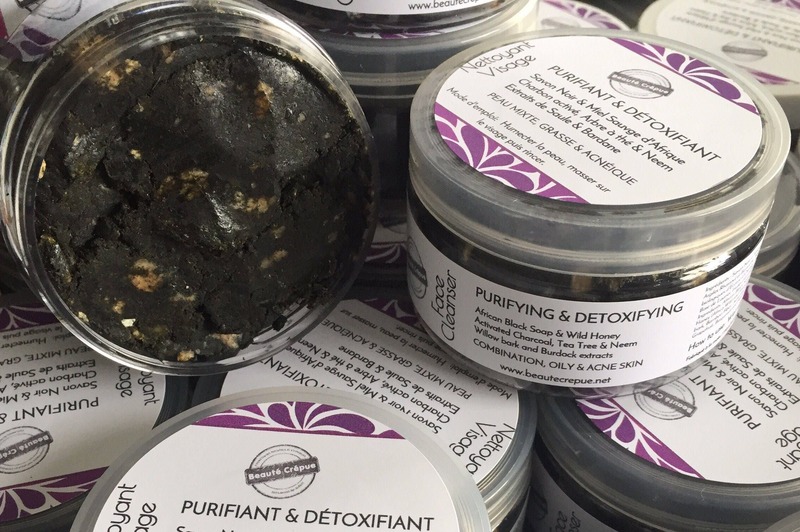 It has a cleansing base of African Black Soap and a blend of Rhassoul clay and Bentonite clay that will gently cleanse the skin. 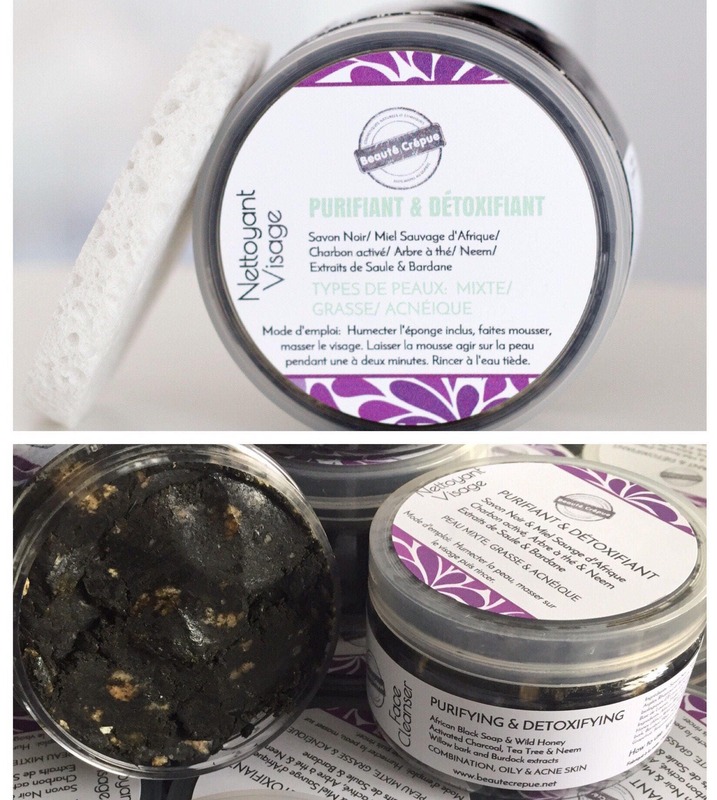 The mixture of natural extracts of Activated Charcoal, Neem, Orange, Fenugreek, Willow bark, Burdock and Nettle will Purify, Detoxify, Clarify and Matify dull and congested skin. 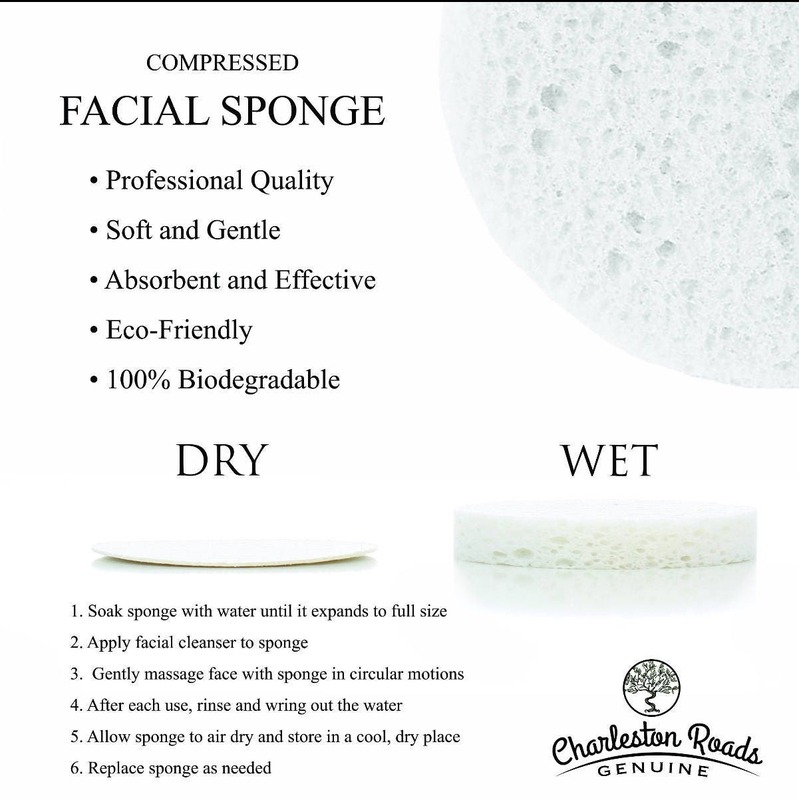 The essential oils blend of tea tree, Ajowan, Bergamot and Grapefruit will treat congested and inflamed pores. 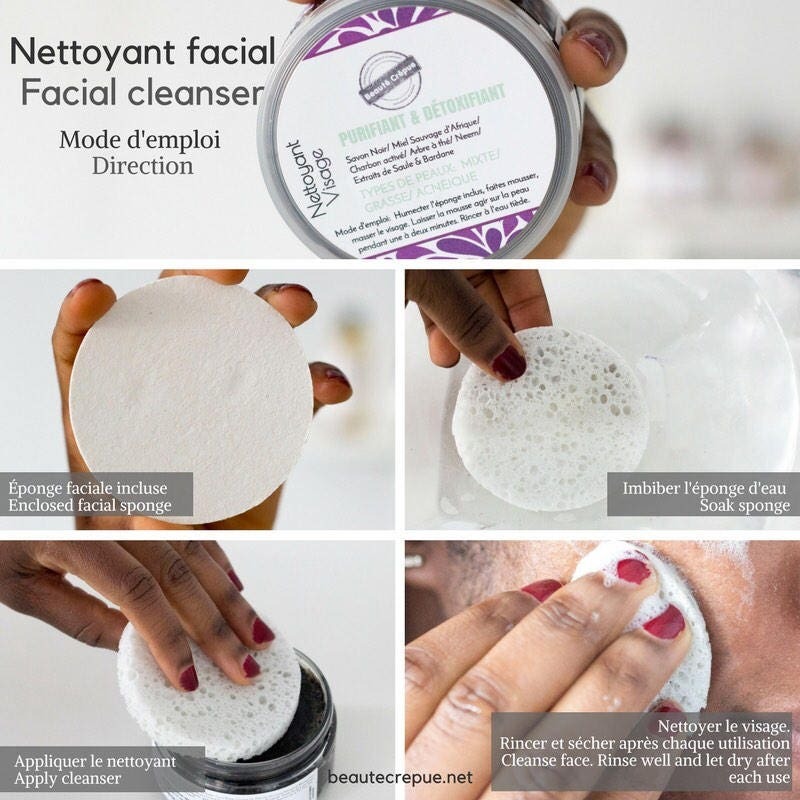 Our Purifying Detoxifying Facial Cleanser also contains Allantoin for its soothing and restorative properties as well as a mixture of African Wild Honey Africa and Manuka Honey for their moisturizing and softening properties. Use every day to keep the skin visibly clean, healthy and bright. 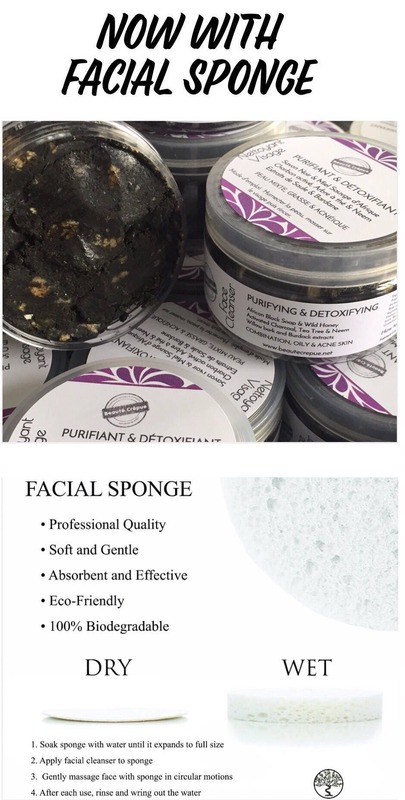 Ingredients: African Black Soap (Purified Water, Shea Butter, Cocoa Butter, Cocoa Oil, Palmiste Oil, Cocoa Potassium), Rhassoul Clay, Honey, Vegetable Glycerin, Orange Peel Powder, Neem Leaf Powder, Fenugreek Powder, Nettle Leaf Powder, Bamboo Fiber, Activated Charcoal, Burdock Extract, Willow Extract, Allantoin, Jojoba Oil, Black Seed Cumin Oil, Laurier's Bay Oil, Essential oils of Tea Tree, Pink Grapefruit, Bergamot and Ajowan, Vitamin E.